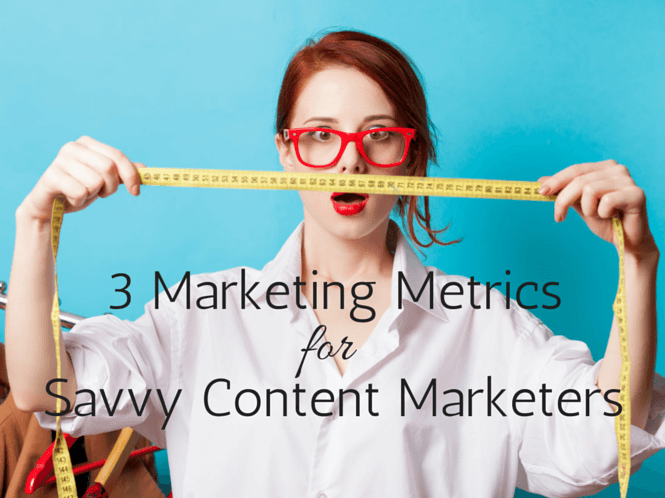 Traffic is nice and all, but it’s just the tip of the iceberg when it comes to measuring your content marketing success. Metrics are what businesses and digital marketers around the world use to determine how effective their marketing strategy is. Breaking down that data and developing a better marketing strategy is one of the keys to consistent growth. While most analytics services offer plenty of data, they don’t exactly offer much guidance when it comes to figuring out what matters. Measuring metrics can actually become intimidatingly complex, especially for the inexperienced digital marketer. So, with that in mind, here’s a list of some important content marketing metrics to keep an eye on. Just in case you’re new around here: the bounce rate is how many visitors stop engaging with your website after one interaction (that can be a page view, a social media share…you get the idea). According to RocketFuel, the average bounce rate for a website is 41 to 55 percent. While your bounce rate might not seem like a particularly noteworthy metric, it’s important to understand that none of these metrics exist in a vacuum. Calculating your bounce rate can be tricky, especially considering that industry professionals are constantly debating what the definition of bounce rate really is. Essentially, as long as you use your common sense when looking at Google Analytics (if you have a bounce rate that suspiciously high or low, it’s time to do some research) and pay attention to changing rates over time, you should be okay. Having an unnaturally high bounce rate is going to make it that much harder to convert your audience, which will then cause a reduction in customer retention. Use your bounce rate metrics to find the flaws in your website. Figure out how to improve engagement in these weaker areas. Keep in mind, the longer someone spends on your site, the more likely they are to be converted. See? I told you it was all connected. Your website’s conversion rate is how many visitors end up responding to your call-to-action. You may be looking for leads, trial sign-ups, account registrations, or redeeming rewards. More traditionally, it might be buying something online or a tactical victory of driving opt-ins to your email marketing campaign. Conversions aren’t just important. They should be one of your major goals. The more conversions you have, the more successful your business should (theoretically) be. Calculating conversions is usually pretty simple. Most e-commerce companies, for example, keep track of abandoned shopping carts and sales. In Google Analytics you can set-up goals for sales, newsletter sign-ups and eBook downloads to determine how well your campaign is converting. Conversions are the benchmark for success. If you aren’t getting enough conversions, that’s a clear sign that your overall marketing efforts need to be re-evaluated. When you calculate things like return on investment (which we’ll talk about next), conversions are crucial to determining the effectiveness of your marketing campaign. While conversions are how you determine your overall revenue, your ROI determines how profitable your marketing strategy truly is. Your ROI is the way you see if your overall business plan is actually functioning. In its simplest terms, ROI is what you have left after you subtract the total expenses from your total revenue. If you’re spending more on marketing than you earn from it, you’ve got a serious problem on your hands. In the spirit of keeping things simple, find your cost per lead (how much you end up spending on resources, software, labor hours to acquire a lead). Once you have that, compare that to your lead to close ratio (how many customers you gain from those leads). Afterwards, relate that to your average customer value and you’ll have your answer. Let’s say you convert 25% of your leads, you pay $20 per lead, and you earn $80 per customer. In this case, you break even when it comes to ROI. Your ROI is what proves the value of your marketing strategy. If you have a low or negative ROI, you’re going to need to change your marketing campaign…now. Having a positive ROI is the ultimate sign of success. Frankly, it’s not about having a massive ROI (at least, not at first). Rather, having a positive ROI is a sign that, while your marketing campaign might not be perfect, it is profitable. And that’s a step down the right road. Michael Peggs is the founder of Marccx Media, a content marketing agency where content attracts clients. Before Marcxx, Peggs worked at Google in business development, forming digital media and advertising partnerships. He is also a blogger and podcaster, hosting the iTunes Top 10 New & Noteworthy podcast You University - The Personal Branding Podcast.